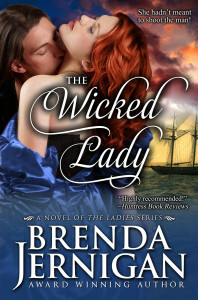 The Wicked Lady is on sale from Jan 4th to Jan 11th. The Thief – Kristen Johnstone was one wicked lady. When Trevor Claremont was blind-sided by a pickpocket on the docks beside his clipper ship, he tracked down the culprit–only to face a feisty, emerald-eyed beauty who stirred his hungriest desires. Seeing a solution to his pressing problem of finding a bride to please his dying grandmother, he offered her a deal: marriage to him…or prison, never imaging that this little cut-purse would also steal his heart. This entry was posted in Uncategorized and tagged Funny, Historical, love story, Wicked by BrendaJernigan. Bookmark the permalink.